Despite my love of sleeping in the dirt and not showering, I will never say no to glamorous digs. 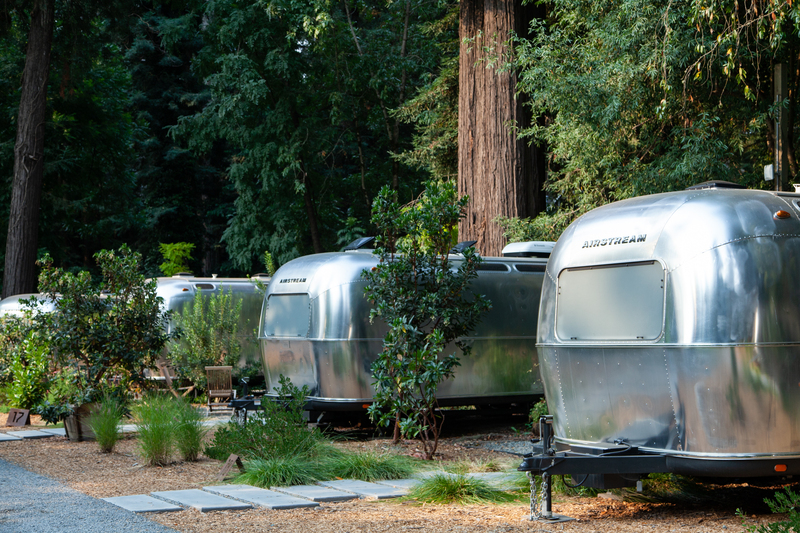 AutoCamp Russian River in Guerneville is the perfect blend of luxury and roughing it. 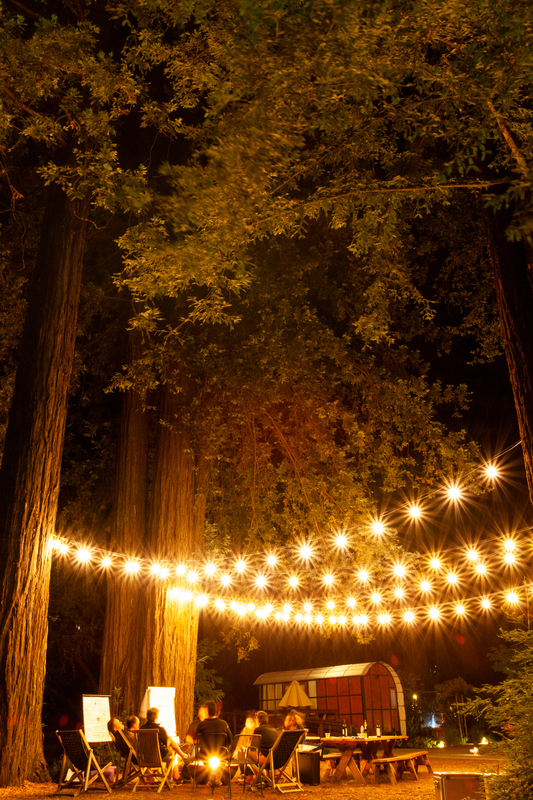 AutoCamp Russian River is rugged luxury in the redwoods. 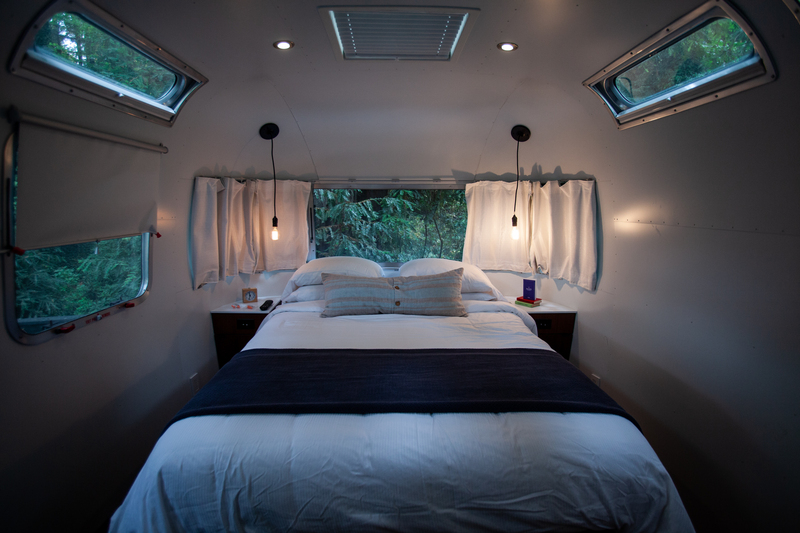 Guest accommodations are canvas tents or Airstream suites. An ADA accessible suite is also available for booking. Several of the suites are pet friendly. 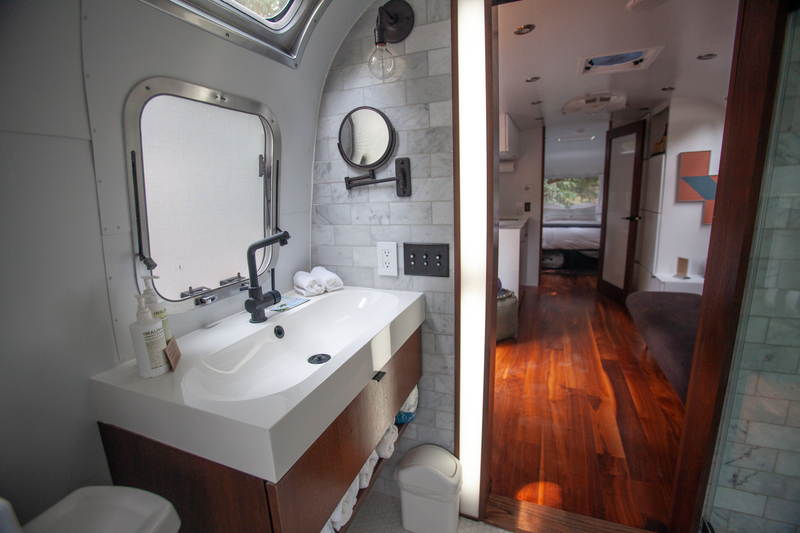 The Airstream suites have their own bathrooms, stocked with Malin + Goetz products. 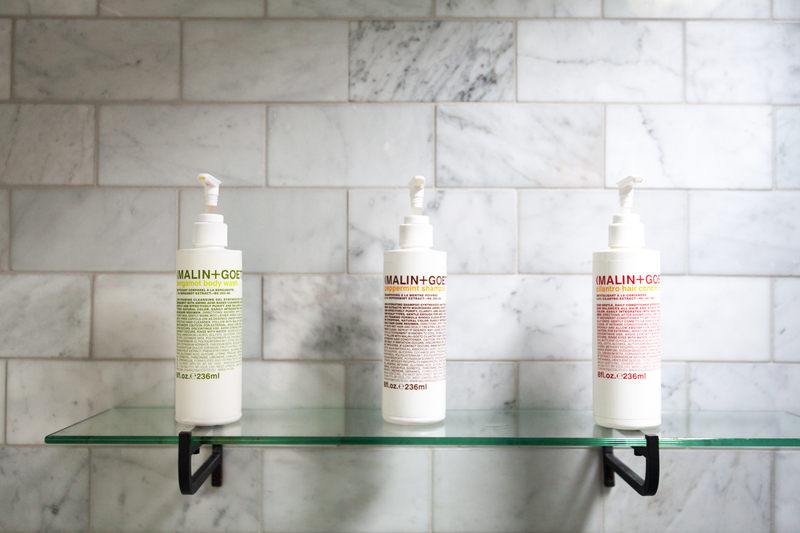 Canvas tents must use a central bathroom in the lobby building, also stocked with Malin + Goetz. 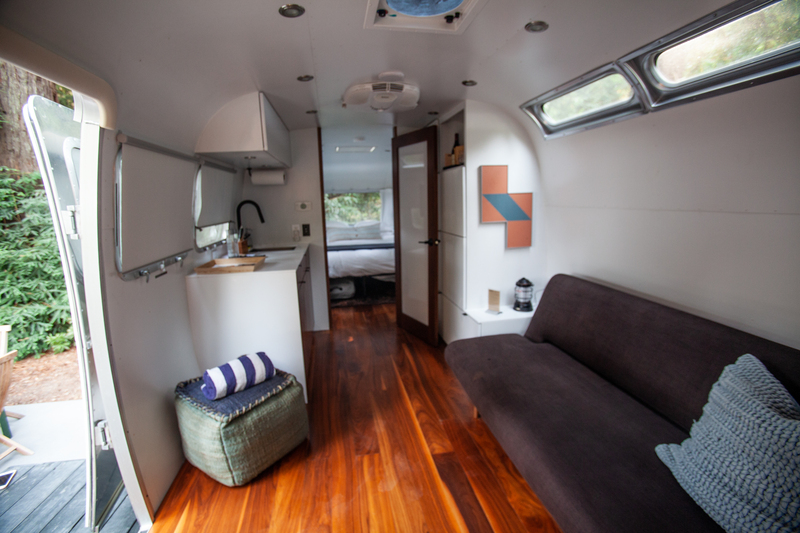 The Airstreams do not come with a stove, but a mini-fridge and microwave are available for storing and heating up leftovers. There are utensils, wine glasses, and a cast iron pan. 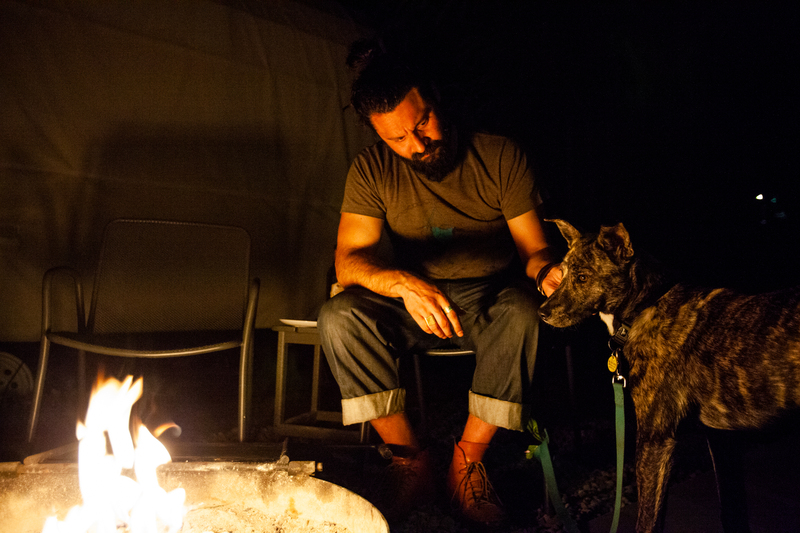 All accommodations include a fire pit, perfect for roasting amores or BBQing. AutoCamp sells s’mores kits in their store, along with a variety of other goods including cheese, kombucha, and wine. If you need a caffeine kick, coffee from Equator and a French press are in your Airstream for your convenience. Not a coffee person? They also have a selection of premium teas. In the morning, coffee and tea are set out in the lobby. If you enjoy fresh squeezed orange juice, you’ll love cutting and pressing your own oranges. This luxury property is nestled in the redwoods of California’s North Coast. Guerneville is a whole bunch of character in a little town. 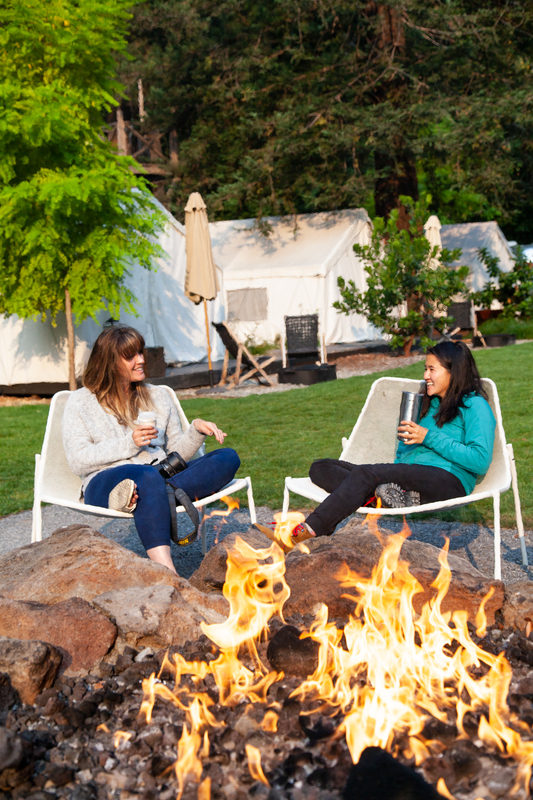 The coast is only a 20-minute drive from AutoCamp Russian River. Catch the sunset at Goat Rock State Beach. Armstrong Redwood State Park is a 10 minute drive away. Spend the day hiking amongst the redwood trees. This park is family friendly. If you’re a climber, go boulder at Goat Rock, especially at sunset. It is absolutely stunning. Salt Point State Park and those marvelous sandstone boulders are about an hour away. Get happy hour oysters at Seaside Metal. Sample some unique ice cream flavors at Nimble & Finn’s. (Also, it’s located in a renovated bank, so cool.) Enjoy a fresh, farm to table meal at Boon Eat + Drink. 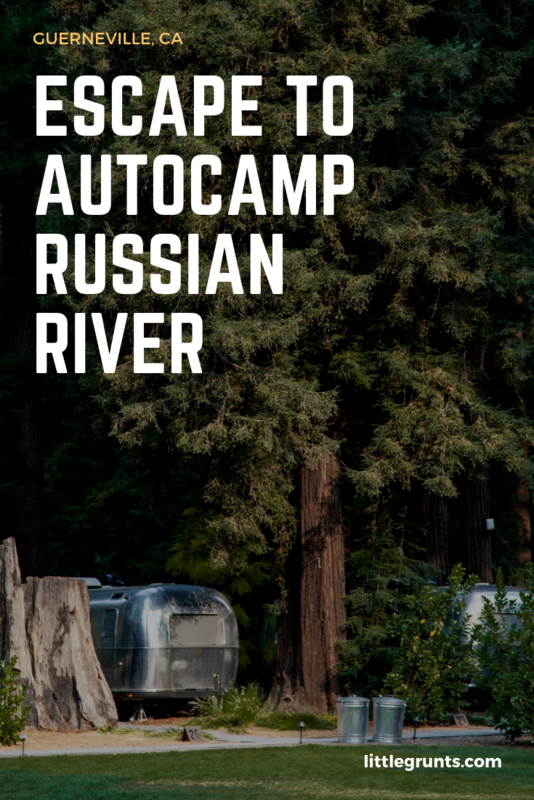 AutoCamp has three properties available at the Russian River, Yosemite, and Santa Barbara. To book, head to AutoCamp. Prices vary between accommodations and properties.